As our 2018 Funding Drive draws to a close, the HKFP team is delighted to announce that we have raised HK$824,276 from the public in just over a month, along with HK$26,349 from our fundraising event. Whilst we will still count on ongoing support from advertisers and our monthly donors, the HK$850,625 sum gives us the basics to support our team for another year. We are enormously grateful to the 851 readers who took the time to contribute, helping to secure our independence. The average donation was just under HK$1,000, with backers from all over the world helping us to keep the lights on. 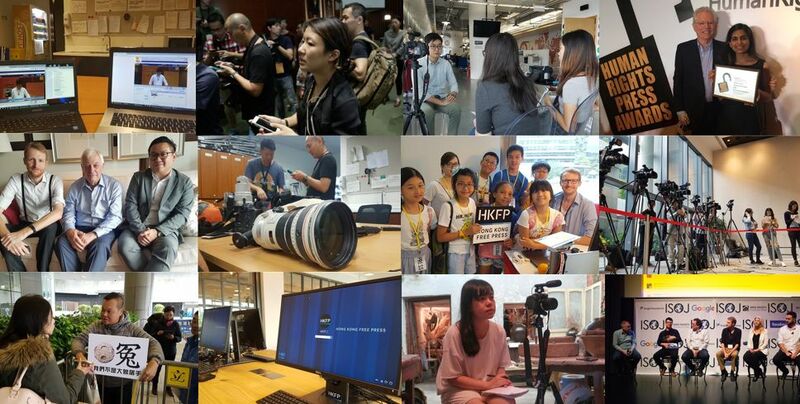 We are all humbled by the kind messages we have received over the past five weeks, and we can assure our backers that – as a non-profit – every cent entrusted to HKFP is valued and spent carefully. Please be sure to take a look at our Annual Report, which includes a Transparency Report based on our yearly audit. HKFP is run as efficiently and prudently as possible, in order to maximise the impact of our donors’ generosity. We make savings by partnering with other media outlets, using free software wherever possible and making full use of teamwork and automation to save on labour costs. Our pre-launch crowdfunding drive in 2015 ended up 392 per cent funded, raising almost HK$600,000 from 740 backers. Our 2016 and 2017 Funding Drives raised similar amounts, whilst over 2,000 people have donated several million dollars to our year-round fundraising through one-off and monthly contributions since our launch. We have also diversified income streams to include Google/YouTube display ads; directly purchased rate card ads; events; content sales; and merchandise sales. Last year, we promised to invest more in original reporting and ended up doubling our number of weekend features, interviews, under-reported stories and deep dives. Over the coming weeks, we will conduct a reader survey to better understand how readers want us to invest in our reporting. With media ownership issues, threats to press freedom and funding puzzles facing the industry, our readers have demonstrated that Hongkongers are able to come together themselves as citizens to safeguard the city’s defining values. 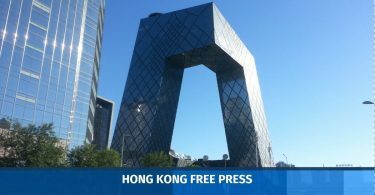 HKFP will continue to be a daily antidote to the noise of social media, and will serve as an alternative to the for-profit, China-backed outlets which crowd the local media landscape. We do not see our readers as a “target group” or “verticals,” but as a community of supporters to whom we are responsible. In addition to our new mission statement, we will also produce a Code of Ethics this year and form a board to ensure there is even more accountability as we invest further in quality journalism. If you missed our Funding Drive, it is still possible to support us. Click for details. Our preferred donation method is by cheque or transfer as this saves us on fees. 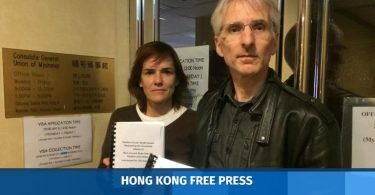 Cheques may be made payable to Hong Kong Free Press Limited and posted – along with your name and address to: HKFP, The Hive Spring, 3/F Remex Centre, 42 Wong Chuk Hang Road, Aberdeen, Hong Kong Island, Hong Kong. One-off or monthly donations can be made with your Visa, Mastercard, American Express or AliPay accounts via Stripe on our website: bit.ly/supporthkfp. Or make a one-off donation online at paypal.me/hongkongfp. Mastercard, Visa, Maestro, UnionPay are accepted. For setting up one-off, or regular, bank transfers, please email a screenshot or phone photo of the receipt/form to [email protected], after you have made arrangements so we may show a paper-trail for our internal accountancy records. Bank address: 1 Queen’s Road Central, Hong Kong. We welcome donations of new computer or audio-visual equipment. We also welcome sponsorship of our ongoing operational costs – please get in touch if you can support us. Help us grow – invite your friends to follow us on social media. We can be found Facebook, Twitter, Tumblr, LinkedIn, YouTube, Google+, Pushbullet, Flipboard, News360, Psiphon, Apple News, on Telegram @hongkongfp (Channel) and @hkfp_bot (Bot) and through our Android, iOS and Windows apps. You can ‘tip’ Hong Kong Free Press with a micro-donation via Flattr. Help us eliminate processing fees or make a fully anonymous contribution by donating Bitcoin via Bitpay. Shop at the Book Depository with this link – HKFP will receive a small commission. This year’s Funding Drive represents a vote of confidence in our team. We are more motivated than ever – to deliver fast, accurate and credible reporting from the front lines. Thank you once again to everyone for your generous support.